The intrathecal administration of opioids especially intrathecal morphine has emerged as a popular and effective form of postoperative pain control. Intrathecal opioids are able to provide long-lasting analgesia after a single injection. They work by binding to the µ opioid receptors, which are located in the substantia gelatinosa of the dorsal horn of the spinal cord. These receptors are concentration dependent and are typically not activated by systemic doses of opioids. Unlike intrathecal local anesthetics, intrathecal opioids provide analgesia without disrupting sensory, motor, or sympathetic functions. Because of its hydrophilic properties and potent receptor affinity, preservative-free morphine (i.e., Duramorph or Astramorph) is the ideal opioid for intrathecal use. The onset of analgesic effects is directly proportional to the lipid solubility of the opioid. Preservative-free morphine (along with hydromorphone and meperidine) has a relatively low lipid solubility and its onset of action is delayed for typically 20 to 40 minutes after administration. The hydrophilic nature of the opioid also determines its duration of action. Preservative-free morphine is very hydrophilic and poorly lipid soluble, which extends its duration of analgesic effect up to 12 to 24 hours. Because of its poor lipid solubility, intrathecal morphine remains in the cerebrospinal fluid (CSF) for a prolonged period of time. It is circulated through cerebral spinal bulk flow and eventually rises rostrally to supraspinal levels. Intrathecal morphine, therefore, has bimodal analgesic effects. The first peak is soon after administration and is due to spinal opiate receptor binding. The second peak occurs 12 to 24 hours later and is due to supraspinal binding as the drug is circulated. 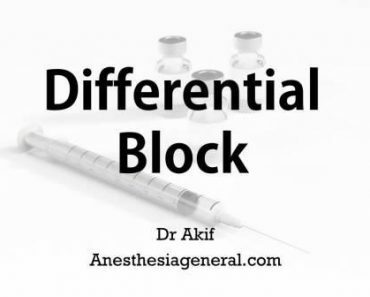 Compared with systemic dosing of morphine, intrathecal administration is effective in providing analgesia at a fraction of the systemic dose (0.25â€“0.5 mg) and thus has a much lower side-effect profile. The side effects, however, are important to recognize and treat. Respiratory depression can be delayed up to 24 hours after administration and is due to the cephalad spread of intrathecal morphine to the opioid receptors in the medullary centers of the brain stem. Thus, patients receiving intrathecal morphine must be closely monitored for up to 24 hours afterward for signs of respiratory depression. Patients with postoperative pain despite having received intrathecal morphine present a management dilemma. Giving the patient additional systemic opioids must be done cautiously, as it may increase and potentiate the risk of respiratory depression. Generally, patients who have received intrathecal morphine should not be placed on a patient-controlled analgesia machine and should be given only intermittent doses of short-acting narcotics until the intrathecal morphine analgesic effect occurs. Nonopioid analgesics can also be considered if not contraindicated after surgery. Other intrathecal morphine side effects are similar to side effects of systemic morphine and include pruritus, nausea, vomiting, and urine retention. These effects are dose related and may be reversed with naloxone. Raj PP, ed. Practical Management of Pain. 3rd Ed. St Louis: Mosby; 2000:180. Waldman SD, ed. Interventional Pain Management. 2nd Ed. Philadelphia: WB Saunders; 2001: 621 and 622.